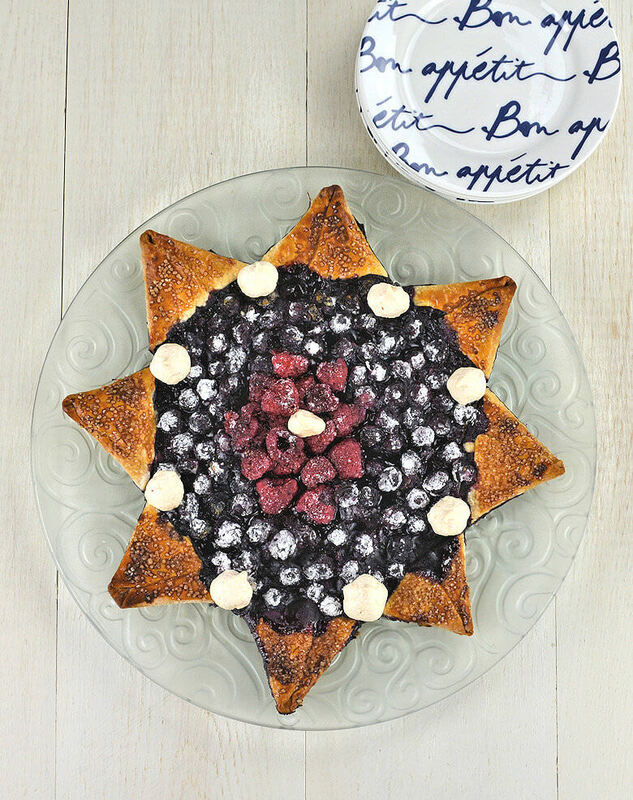 This Blueberry Raspberry Star Pie was made in the spur of the moment. 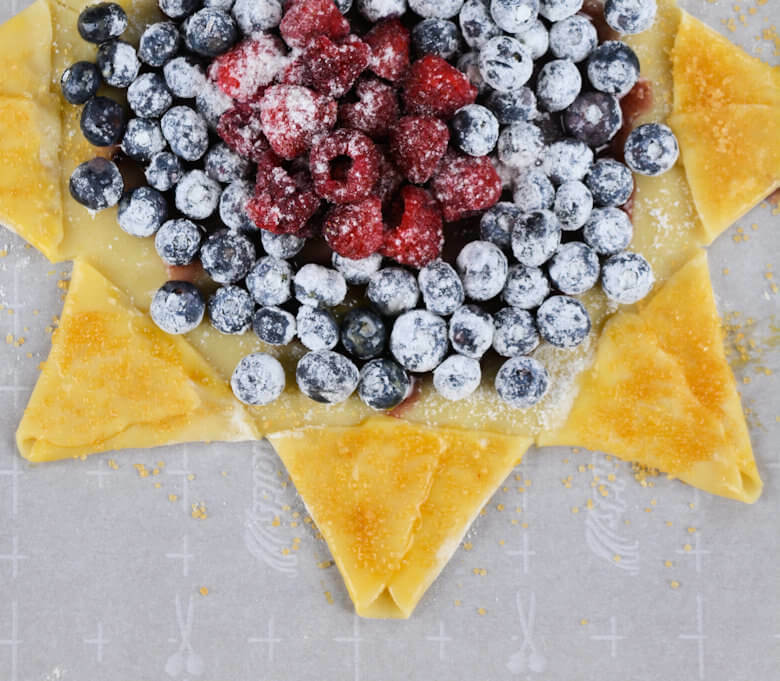 A pie in the form of a star in celebration of July 4th. I started late afternoon and served it in the evening, so, it is a simple, easy, light, fruit pie. Happy 4th of July! As a new American, I got my citizenship in October of last year, I could not do nothing in celebration of July 4th, but in all honesty, I almost did nothing. Having a day off was so nice, but with all the festivities, I really had no excuse. 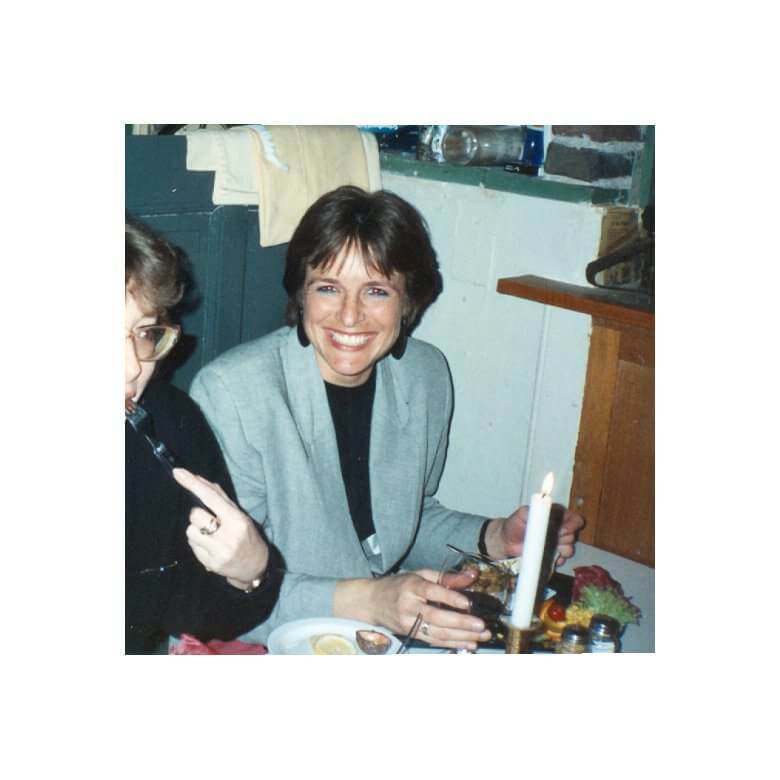 Many pies, cakes and other concoctions were based on stars and strips, logically. My brain could not come up with something original along the entire flag concept, and I needed something fast. The Blueberry Raspberry Star Pie was born. I made a similar pie last summer, so I did not re-invent the wheel, just a different, specialized design. How to make a star? Not difficult at all; just a little bit of paper craft or ‘kindergarten’ play with paper. Better try these things with paper, than with dough. Here you go: cut a circle, fold it in half, fold the half moon in half and fold the quarter in half and you’ll end up with a cone shape. Now cut 1.5 inches into the wide part of the cone, towards the tip. Cut through all the layers. Unfold and you have a circle with 8 cuts evenly spaced. Place this template on you pie dough and make the cuts in the dough. Each part of dough between 2 cuts becomes a point of the star. Take the points and fold them towards each other, with a little bit of overlap. “Glue” them together with a beaten egg. Repeat and your star is complete. Wash the blueberries and raspberries and place them in a colander to drip dry. Mix the blueberries with sugar and cornstarch. Cover the bottom of the pie with some blueberry syrup, but leave approx. 1 inch of the outside of the bottom uncovered. Place the blueberry mix on the syrup, but leave a little opening in the center and place the raspberries in that spot. In this close-up, you see the outer border of the pie and the folded star points. Each point is brushed with beaten egg and sprinkled with sugar. The border will fill up once the pie bakes. It actually will more than fill up, it will overflow. As you can see in the picture below. So once the pie is cooled, you’ll need to do some trimming. It overflows because there is no border, keeping the juices inside. Normally when you bake a fruit pie you will fold the crust or when you use a pie dish, the edges will go up, preventing most of the juices to spill out of the pie. 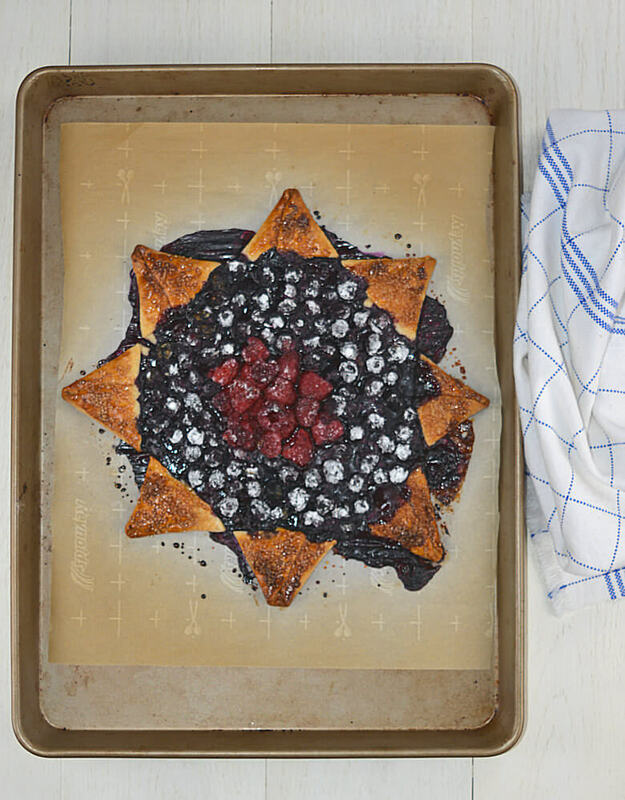 With this Blueberry Raspberry Star Pie that’s not possible, because it is all flat. On the other hand; I did bake it relatively short, used about half the amount of fruit than I would have done in a ‘normal’ pie. This did help in avoiding mushy berries and a limited amount of juice running away. This Star Pie was quick and it is light (again half the amount of filling). Gone in 2 days. Try and enjoy! 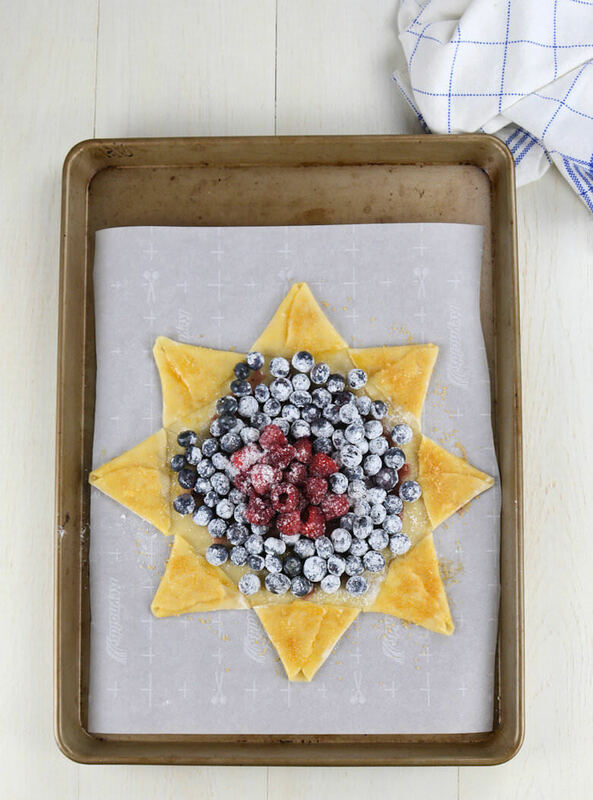 This Blueberry Raspberry Star Pie was made in the spur of the moment. A pie in the form of a star in celebration of July 4th and I started late afternoon and served it in the evening. So, a simple, easy, light fruit pie. Happy 4th of July! Heat oven to 425 degrees F. Line a baking sheet with parchment paper, large enough to accommodate a 9-inch pie. Wash the blueberries and raspberries and place them in a colander to drip dry. In a bowl, mix the blueberries, sugar and cornstarch. Unroll the pie crust and prepare the crust, by cutting the outside rim of the dough 8 times, evenly spaced. Then fold 2 flaps toward each other, until the sides meet, creating a triangle with the tip facing up. Repeat this 8 times and you'll have a star. You can use a paper template to work faster. Brush star points of the crust with beaten egg and sprinkle with tubinado sugar. Bake the pie 15-20 minutes in the oven or until golden brown and allow to cool before serving. In a small bowl, combine egg whites, vanilla extract and cream of tartar and beat until foamy. Slowly add the sugar until you have stiff peaks. Transfer meringue to a piping bag and create tiny decorations on a baking sheet lined with parchment paper. You most likely will have to many rosettes for just 1 pie, unless you want to place more on the pie than I did. Bake small meringues in a heated oven of 225 degrees F. and bake for approx. 15-20 minutes or until meringue is dry on the outside and allow them to cool and dry inside the oven. Place the meringue decorations on the pie and serve.